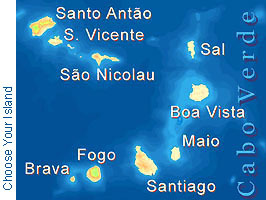 Hotel Savana is located at one of the nice green squares, right in the heart of the historical centre of the island-capital São Filipe. 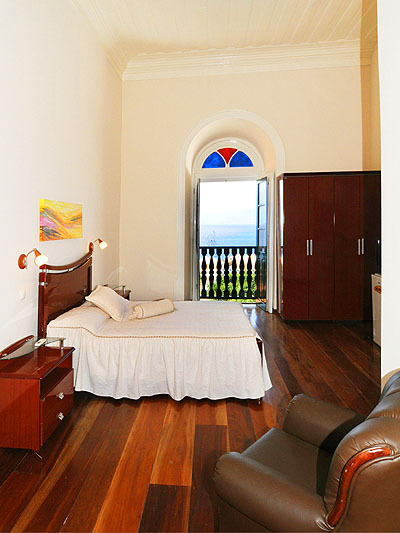 The nicely renovated "Sobrado" (historical mansion) combines typical elements of classical sub-tropical architecture; large tiled roofs shadowing the inner court and balconies in front of the rooms on the first floor. The swimming pool in the courtyard is well protected against wind and there is always a shadow place available to relax. "Persianas" in front of well sized windows and between the rooms of the basement allow the dry air to circulate freely throughout the building. Every room has a shady balcony. Traditional arquitecture is definitely more sensible and comfortable and less noisy and energy consuming than modern air condition. 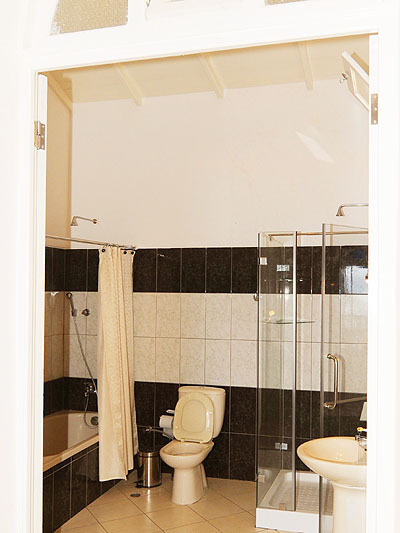 Nevertheless, some of the rooms are equipped with AC in order to be prepaired for even the hottest days of summer. Rooms for guests are spacy and well equipped. 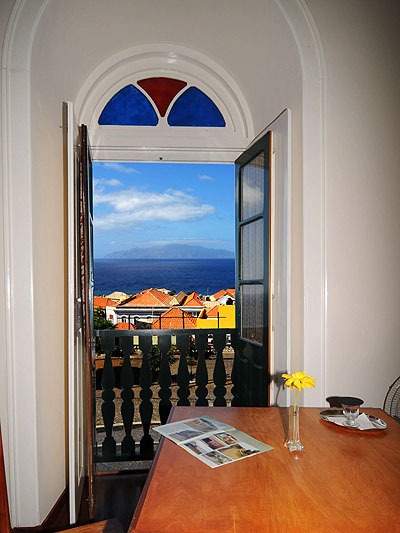 Relaxed visitors take their cup of tea to the balconies, enjoying the panorama of the sea and the Island of Brava at the horizon. 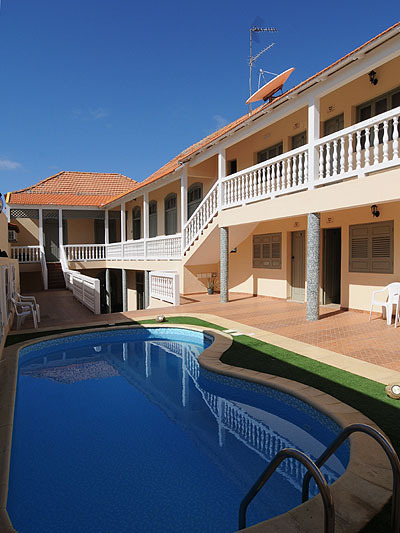 Budget accommodation in simpler double and triple rooms is also availabe. 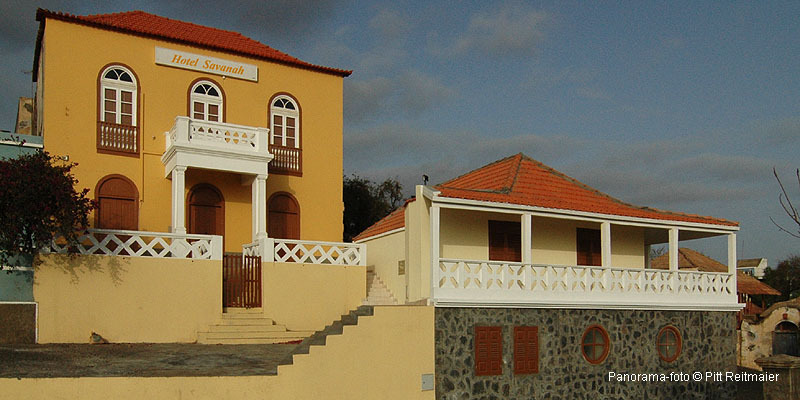 Arrangements for rent-a-car and taxis for excursions on the island etc. can be made.